Have you been along to an Educamp before? I've now been to quite a few and I always come away inspired, pretty tired and full of lots of options for where to next. 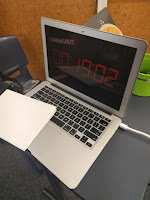 The latest Educamp in Auckland didn't disappoint. If you haven't been before here's the New Zealand Educamp Wiki - see if there's one near you soon. Otherwise search for Educamps in your area - they're are plenty worldwide! If you haven't managed to give this a go yet, give it a go asap! The best way I can think of describing it in a few seconds is an escape room in a box... no it's not hiding students in a box :) but hiding clues around the classroom that eventually lead the students to the codes needed to unlock a series of locks and get into the Breakout box. 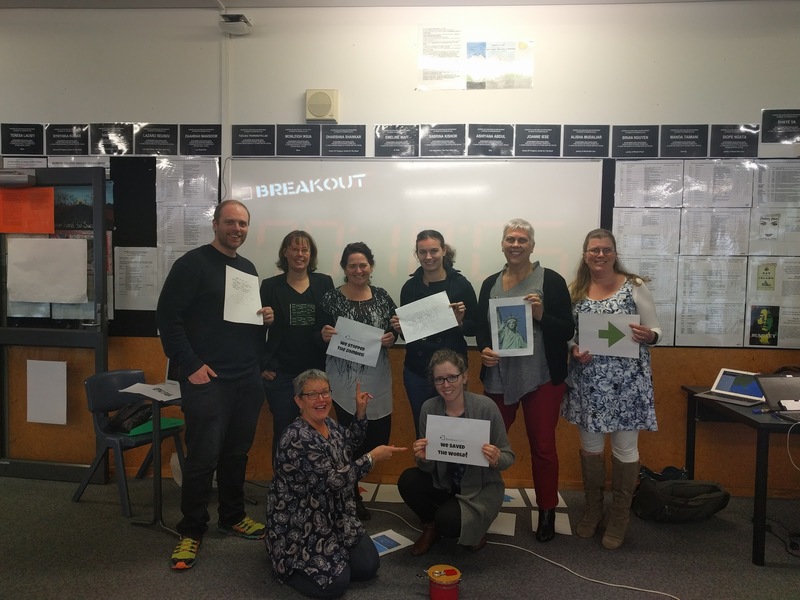 I mentioned when sharing that I was keen to collaborate and get some more New Zealand content appearing in the Breakout EDU space. If you'd like to collaborate in a Race around New Zealand feel free to get in touch via twitter @nzleeangela. 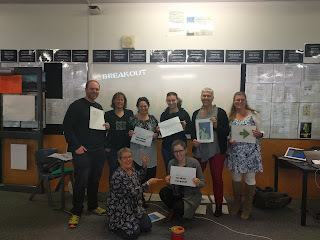 The idea is to get a breakout centred around where your students / you work/live in New Zealand so getting some local content to showcase your area and to give others insight into what makes your space special. One of my other areas of experimentation at the moment is virtual reality. I've been playing around in this space for a while now and I'm keen to chat to people about possibilities for use in the classroom beyond just the cool factor. 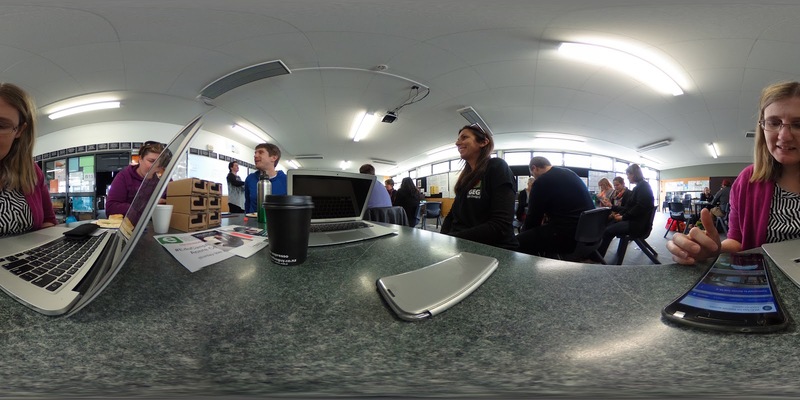 I bought along my Theta S so a few teachers were keen to see how that worked. The app makes removal of the giant hand effect really simple as your phone will work as a remote control so you can get out of the picture altogether or just look a little more like you're meant to be where you standing. 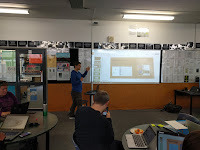 @michaeltheteacher shared his expertise in using scratch in maths, I'm excited about the journey he's going on with this. There are great features of scratch that you may not have thought of for use in the mathematics classroom - or any curriculum area for that matter. Michael shared a few potential games students can create fairly simply using the scratch platform. @HelenofTroy also shared her experience using scratch with younger students and focusing on open ended projects rather than just the step by step projects offered in scratch itself and through help files online. 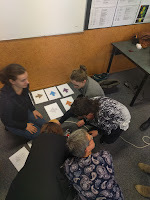 I've talked with @michael the teacher about this a lot lately and it was great to see him launch his ideas around sharing of ideas and resources in a New Zealand context through MakerEdNZ Connect with this community through the new Twitter hashtag @makerednz and hashtag #makerednz. 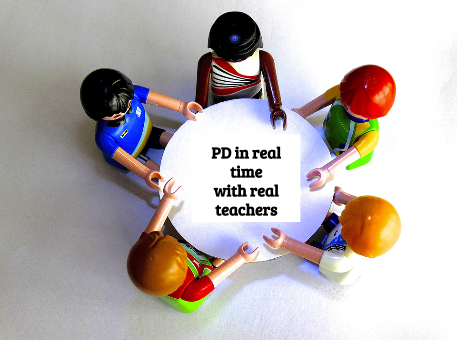 As Michael mentioned there are plenty of teachers out there experimenting with makerspaces but not a lot of collaboration and buying power when it comes to getting resources. The idea of the community is to build this. Watch out for some more releases around sharing and collaborating in this space soon.